Is industry or business training best remedy for ‘diploma disease’? Nowadays, completing at least a master’s degree has become a norm among young adults in many countries since the bachelor’s degree and the high school diploma currently contribute to poorer job prospects compared to those of their parents’ generations. Many individuals need to compete for scarce professional jobs in a saturated labour market where an over-supply of bachelor’s degree graduates is constantly noticed. Furthermore, as Brown & Lauder (2006) argued, the worldwide expansion in higher education has taken place behind the slogan ‘Learning is earning’. Many university students are not driven by their thirst for knowledge, but by a mere certificate as a valid visa for jobs. Meanwhile, market ideology in education is resulting in backlash effects such as the ‘degree mill’ or the selling of fake certificates (Unesco, 2009). Actually, this phenomenon is not new. Tracing the edu-cational histories of Britain, Japan, Sri Lanka and Kenya, Ronald Dore referred to the ‘Diploma Disease’ in 1976 in correspondence with theoretical debates in the 1960s between Human Capital Theory and Screening Theory. The central idea of his thesis was that, “the later development starts (eg. the later point in world history that a country starts on a modernisation drive): the more widely education certificates are used for occupational selection; the faster the rate of qualification inflation; and the more examination-oriented schooling becomes at the expense of genuine education”. (Dore, 1976:72). However, the degree of the diploma disease’s effects can be varied by several factors such as the historical depth of social class division and the strength of pre-modern educational traditions of schooling. In Thailand, my recent study (cf. Suebnusorn, 2012) has revisited Dore’s controversial thesis and confirmed his arguments. Diploma disease has existed in Thailand throughout the period of investigation (1960s-2010). It is clear that although a higher education certificate has not been the be-all-and-end-all of the employee recruitment process, a certificate in this level is still much desired by Thais in general since it has become increasingly important as a prerequisite for several groups of occupations after the educational reforms of 1999. The qualification inflation was first noticed in the 1970s and became more serious in the 1980s onwards. After educational reform, the situation became increasingly severe among academic higher education graduates. As for vocational higher education graduates, the overall situation is much improved, but is still much more serious than that of their academic counterparts. Regrettably, it should be noted that qualification inflation has prevailed while there is a severe shortage of a qualified workforce in some fields. The existence of examination-oriented schooling has been in evidence since the 1960s. Throughout the past 50 years, several endeavours have been made to reform curricula, the teaching and learning process, assessment and evaluation, as well as the system of selecting students for universities. Some achievements were made – but unfortunately not enough to eliminate this problem. It is still noticeable in teaching and learning for examinations, the continuous growth of cramming schools, and the persistence of rote teaching styles. 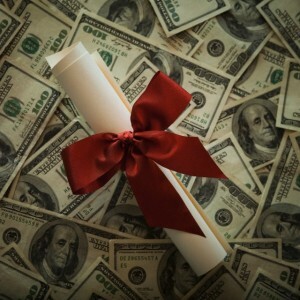 In addition, some segments of students attend a university merely for certificates – as shown by the widespread awarding of fake certificates and the graduate thesis writing business. These results are not surprising since the bureaucratic demand for educational certificates in job allocations has been for a long time structured into Thai society. Many young adults are inculcated to pursue higher education with an ambition to work as a high-level official in the public sector or as CEO in big corporations. Only a few are encouraged to expand their family businesses or establish their own enterprises. It is therefore sensible that we should start overcoming diploma disease by changing the mind-set of students. I personally believe that education for self-employment can motivate students to ‘learn for learning’s sake’ and ‘to learn to do a job’, not ‘to learn to get a job’ which Dore abhorred. If students are learning with an ambition to create their own businesses, it is possible to anticipate that they are learning to further apply their knowledge to real life challenges and their occupations in the future. This is because as an entrepreneur, success of one’s business does not depend on how many educational certificates one has obtained. Intrinsic knowledge, skills and attributes embedded in a person play greater roles. On the contrary, it is hopeless if we expect to cure diploma disease by changing the labour market and social structures. First of all, the Thai labour market will continue to rely mostly on low and middle-skilled manpower. Only 10 per cent of vacant positions will be available for the high-skilled workforce. Therefore, merely increasing ’employability’ skills of students is not enough in this tight professional labour market. Education for job creation is also vital. Furthermore, it is impossible to abolish recruitment practices that rely on educational certificates as an initial screening method; otherwise, employers would need to conduct competency-based tests and to interview a large influx of applicants. Cross-border education and international migration of labour in the upcoming Asean community will also require some certification practice as a mechanism to facilitate a free flow of students and labour. Last but not least, higher education certificates offer a social value for low and middle class members wanting to climb the social ladder. I do believe that everybody desires to start his/her career in a white-collar job with a high income and it is his/her right to compete for it. Therefore, it is ridiculous to criticise anyone desiring to pursue higher education during a time that many graduates are unemployed and the country is encountering a shortage of semi-skilled workers. Nevertheless, what educational providers should do is to enhance quality and relevance in their educational services – and education for business creation is what we should take more into account.